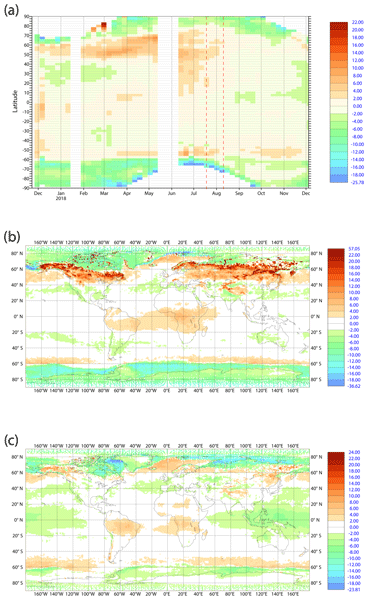 This paper documents the use of total column ozone data from the TROPOMI satellite in the global forecasting system of the Copernicus Atmosphere Monitoring Service (CAMS). The data are of good quality over large parts of the globe but have some issues at high latitudes, at low solar elevations and over snow/ice. Assimilating the data in the CAMS system has a small positive impact, especially in the tropical troposphere. The Tropospheric Monitoring Instrument (TROPOMI) on the Sentinel-5 Precursor satellite provides carbon monoxide (CO) total column concentrations based on measurements in the 2.3 μm spectral range with a spatial resolution of 7 km x 7 km and daily global coverage. In this study, we analyzed local CO enhancements in an area around Iran from 1 November to 20 December 2017 using the WRF model and evaluated CO emissions from the cities of Tehran, Yerevan, Urmia, and Tabriz. Sulphurdioxide (SO2) emitted during volcanic eruptions poses not only a major threat to the local population, air quality as well as aviation but also has an impact on the climate. The satellite-based detection of the SO2 plume is easy, however requires the exact knowledge of the SO2 layer height. This paper presents a new method for the extremely fast and accurate determination of the layer height, which is essential in volcanic plume forecasts and the exact determination of the SO2 density. As a consequence of climate change, droughts in California are occurring more often providing ample fuel for destructive wildfires. The associated smoke is reducing air quality as it contains pollutants considered harmful to public health and the environment such as carbon monoxide (CO). 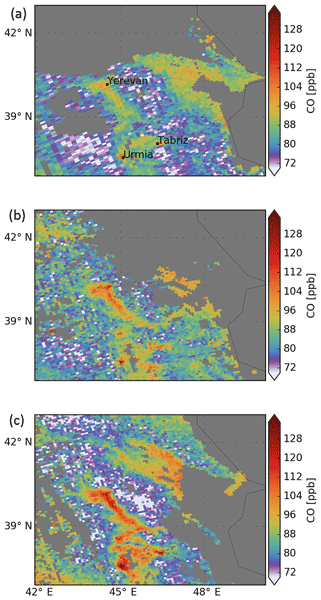 We analyse the statewide distribution of CO during the first days of two specific wildfires using satellite measurements and assess the corresponding air quality burden in Californian major cities. The TROPOMI onboard the Copernicus Sentinel-5 Precursor platform can measure various atmospheric compositions at high spatial resolution and improved spectral resolution compared to its predecessors. Bromine monoxide (BrO) is one of the gases that can be derived from the measured radiances of TROPOMI using Differential Optical Absorption Spectroscopy (DOAS) method. 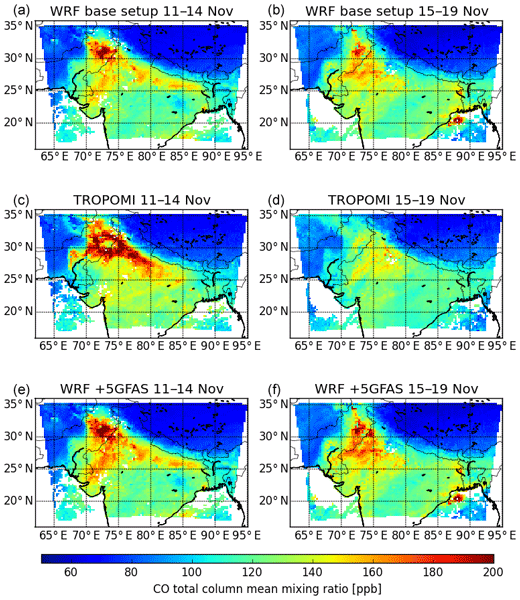 In this paper, we present first retrieval results of BrO column amounts from TROPOMI observations on global and regional scales.